A spoonful of sugar is helpful for some, but the Medicine Bow Chest Pack needs no assistance - it is the bonafide cure for the angling need that ails you. 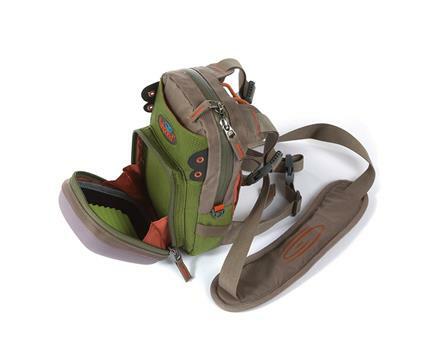 Small and lightweight, it can deceive, but the pack is jammed with features. Like water-resistent zippers, a fold-down molded bench, and a main compartment that can hold those large fly boxes you love so much. Add Hypalon tabs to secure even more accessories, and you are feeling better already. � 6" x 4" x 9.5"